It seems like at every conference I attend, e very webinar/teleseminar I listen to, everywhere I turn, there are recommendations for books I absolutely MUST read. With so many recommendations, how will I ever get to all of them? After all, I’ve been reading the same book for the last six months – and it is a good book! I just never seem to be in the mood anymore. I used to love reading books. First it was actual books and then I used the Kindle. But after looking at a computer all day, the last thing I really want to do is read! Then last month, I tried an audio book. I love it! I’ve listened to two books in two weeks. Woohoo! I had been putting off audio books for a while. I mean, I’ve listened to teleseminars and I didn’t think I would like listening to books being read to me. I’d have to carry pen and paper with me so I could take notes, so it’s not like I could listen while I’m walking. And then what if the reader talks really slow? My mind would be wandering! And I thought I could read faster than I could listen. 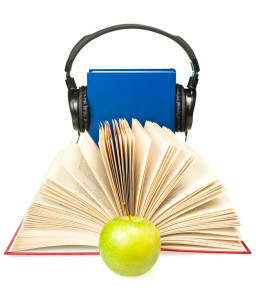 Boy, was I wrong… [Read more…] about Audio books ROCK!